Emily was referred to me by another wonderful couple of mine, I always love that. So fun to see my past couples at current weddings. 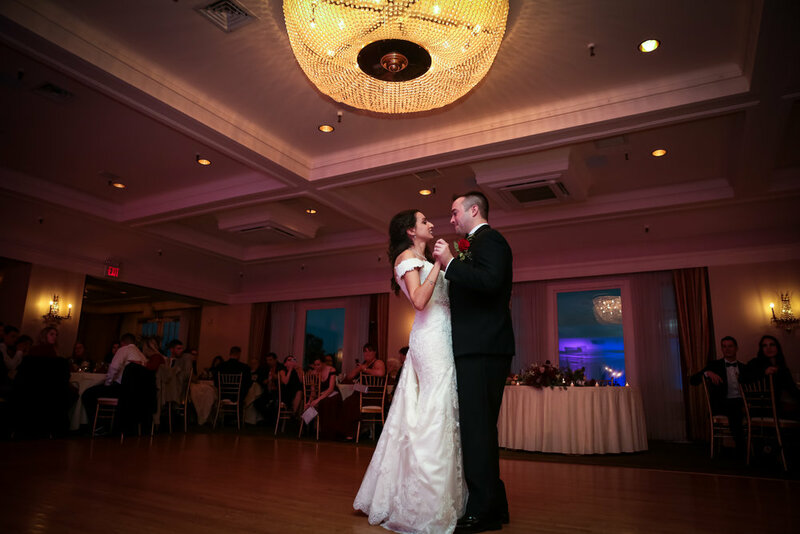 Their wedding was held at the beautiful Northampton Country Club in Bethlehem, PA, and it’s always a pleasure working with some amazing vendors. Alisha Nycole was on hand to make sure the ladies looked amazing! 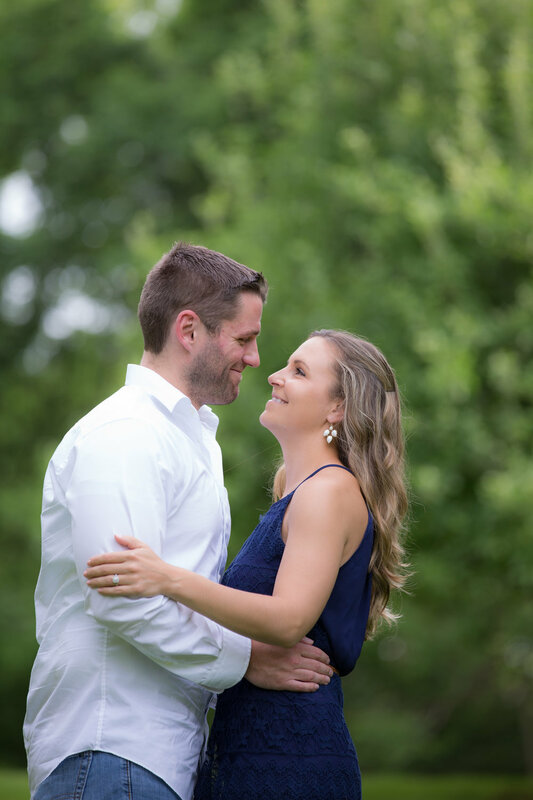 JR & Emily rocked their wedding day, from being willing to go outside in rain and crazy wind, to being completely in love and adorable with each other, they made the day super fun and the images show. This little guy walked into the studio smiling and it didn't stop there. The happiest boy ever! He let me have fun with multiple sets and ended with a cake smash and bath. He loved the bath, splashed everywhere and I wouldn't have it any other way! Happy First Birthday Sweet boy! Baby H was on my schedule for late April, but she had other plans. So needless to say she was super sweet and super tiny. She loved being wrapped up and snuggled, and she had no problems expressing herself when she was hungry! What an absolute honor it was to photograph little Miss H and meet her sweet parents. Baby A was as sweet as can be, with two big brothers to watch over her, this little one will be well taken care of! I loved meeting her and seeing her sweet family again! Intimate weddings have a special place in my heart. Something about being trusted to capture a moment between two people and sharing in their day, often being one of the only other people present really is an honor. Ledges Hotel in Hawley, PA is an expert in providing couples with this experience. 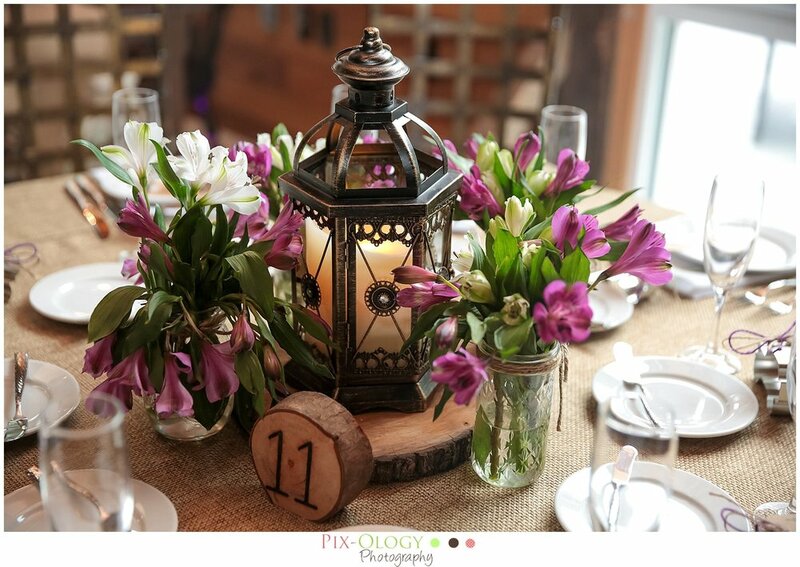 Every detail is thought of, and Kristin & David's beautiful deck wedding was no different. They said their I Dos before their 2 best friends, with frozen waterfalls as their backdrop, and pledged their love for one another with personal vows. They exchanged rings, and toasted to their happily ever after. Congratulations you two, thank you for letting me be a part of your day! Choose your photographer carefully - When choosing your photographer, ask as many questions as you want! Where will the session take place? If at your home, does the photographer bring all the necessary things? If in studio, is the space comfortable and clean? Can you visit the studio before the session? Does the photographer provide all the props, outfits, wraps etc? Is the photographer insured? 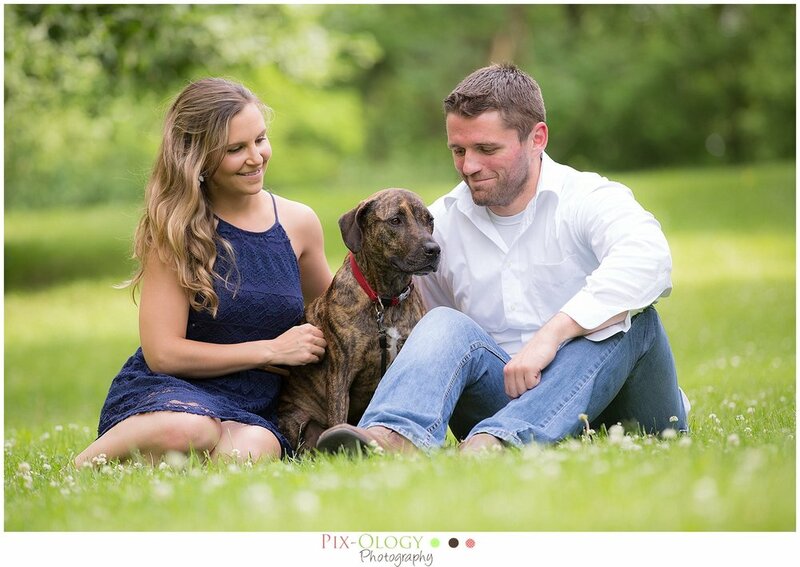 Asking the right questions will help you to figure out which photographer is the right match for your family. Prior to baby being born, keep in touch with your photographer. Update him or her on your progress. If possible schedule a tentative day for the session. Once the baby is born and you are settled, shoot a quick email to your photographer and let them know (we get very excited!!) At this point, solidify the day and time of the session. I prefer shooting newborn sessions in the morning. I find that babies are usually the most content in the morning, 10 am seems to be my preferred time. The morning of the session, follow all of your photographer's instructions. I typically ask that you try and keep baby awake as much as possible the morning of the session. I also suggest giving baby a nice warm bath right before leaving for your session. This tends to relax them and make them extra sleepy. You can feed the baby right before you put them in their car seat, or if not hungry, we feed them as soon as we get them out of the car seat in the studio. What you pack for your session is very important. If you are nursing, then this part is a little easier, if bottle feeding, I suggest bringing at least enough for 3 feedings. A well fed baby is usually a happy baby, so food is very important! What goes along with extra feedings? Extra diapers! If the baby uses a pacifier, don't forget to bring that. A pacifier can really make a difference in calming a fussy baby. Also, bring along anything you would like included in your session. Any special items or mementos. 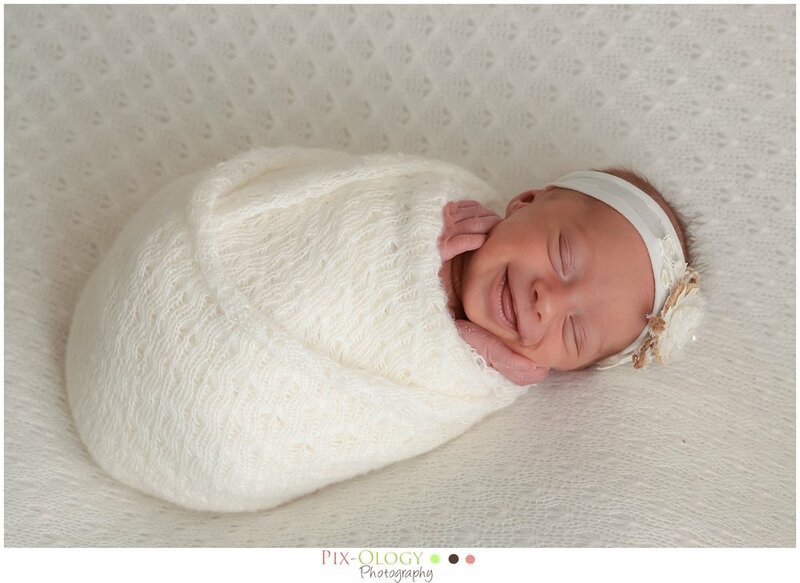 Once you arrive at your session, we will get the baby undressed and wrapped in a swaddle right away. The room will be warm and cozy, the adults may be sweating, but baby will be comfortable! I usually start the session on the bean bag, getting all the fun poses, close ups etc. At this point, you are welcome to have a seat, relax, help yourself to a cup of coffee and watch the process. 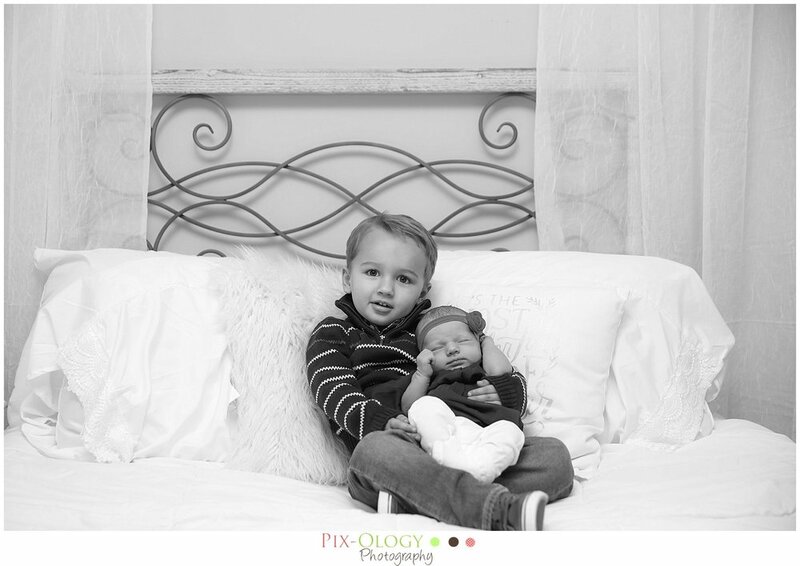 Let your photographer soothe your baby if needed. babies tend to smell their mommies (specially nursing babies) and want to eat, so having your photographer soothe, sometimes is helpful. Finally, get in a photo! It doesn't matter if you haven't slept in days or what you feel like. Get in a photo! Trust me, you are going to treasure that photo for the rest of your life! Be sure to include siblings too! When it comes to newborn photography, safety is of the utmost importance. Posing, prop usage etc will always have safety in mind. If you have any other questions, be sure to drop a comment below. I would love to hear from you! 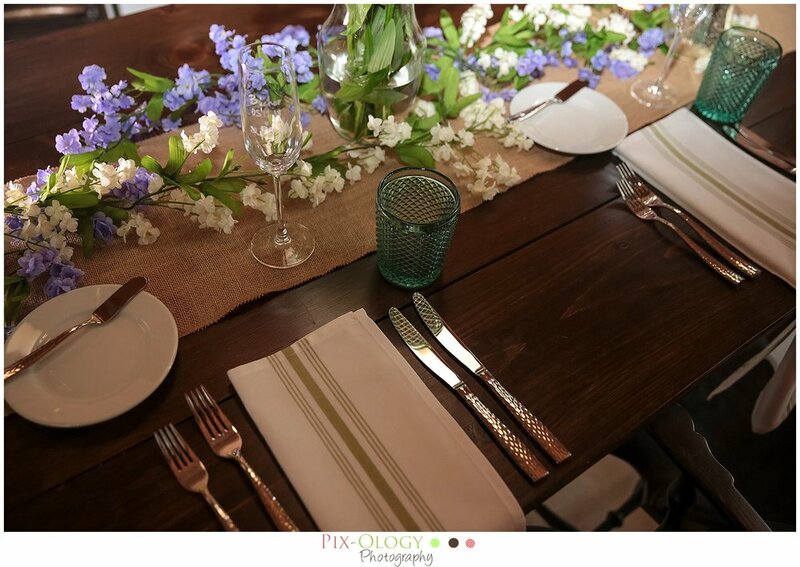 Your wedding venue is probably the very first thing you will book soon after your engagement. It probably is also one of the most important decisions you will make when wedding planning. 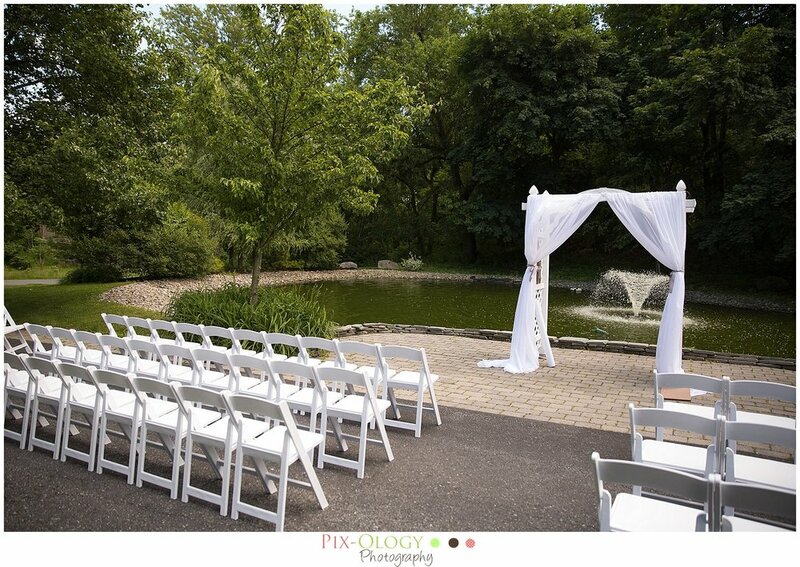 When a couple contacts me regarding their wedding and they mention that it will be held at Silver Creek Country Club, I instantly breathe a sigh of relief. I know their day will run smoothly and that they will be well taken care of. Silver Creek offers a beautiful ballroom and separate cocktail room as well as rooms for both the groom and the bride to get ready. The golf course and grounds are just perfect for bridal portraits. Jeffrey, the sales manager (ie. 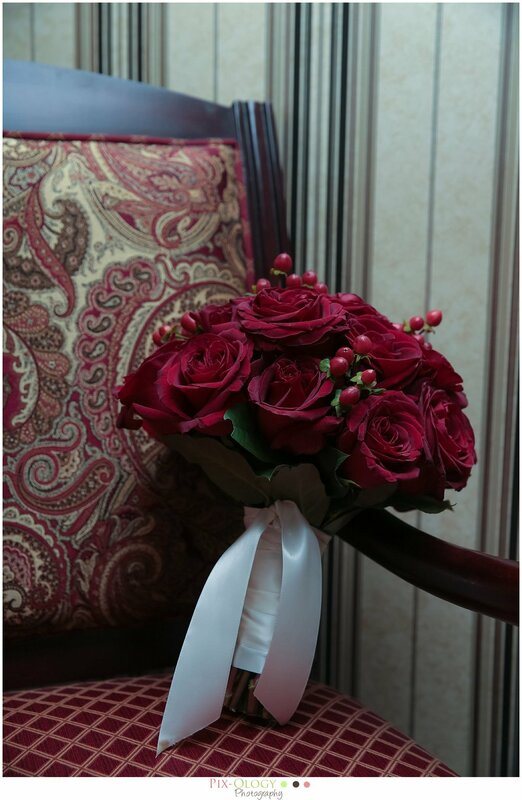 wedding coordinator extraordinaire) and his staff ensure that the couple's needs are taken care of and that all aspects of their dream wedding comes true. Silver Creek truly is a gem in the Lehigh Valley. One of my favorite places to photograph a wedding is Ledges Hotel in Hawley, PA. Appropriately named, Ledges back deck faces a beautiful waterfall and mountain scenery. The multilevel decks offer a panoramic view of these gorgeous falls. Weddings can be help on either deck or even indoors. I love shooting ceremonies with the waterfalls right behind the couple. Many times, my more adventurous couples are willing to walk the Falls for some pretty amazing photos. I love their two story hotel rooms, the light is absolutely perfect for shooting all the details of the day. 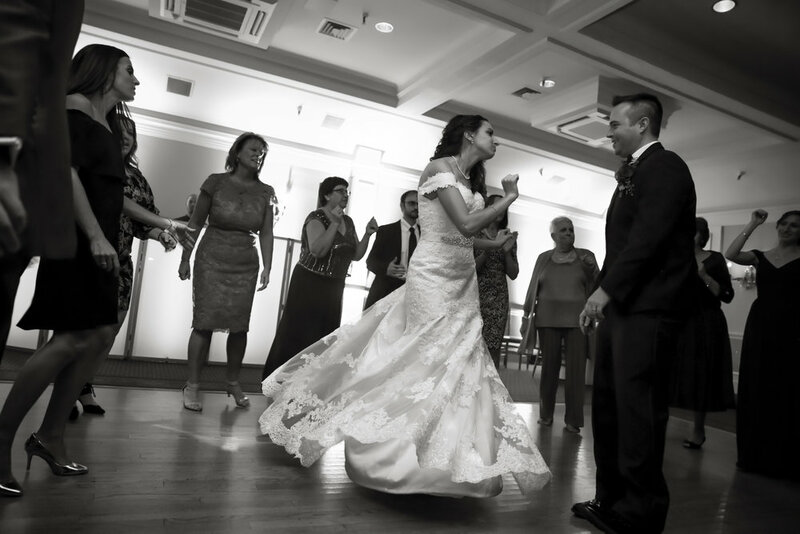 Whether it's an intimate wedding, or a larger wedding, Ledges always does a fantastic job. Even if you are not getting married, take a little ride to Hawley, PA and go visit Ledges. I promise you will not be disappointed! Baby P was sweet as can be. I love that I have been with this family since mom & dad first said their I Dos. Her big brother, with his cute little dimple, too much! What an absolute honor to follow along in their journey. This little guy was so alert for most of his session. He didn't want to miss anything, love the bright eyed shots! But eventually all the swaddling was too much and he just couldn't resist falling asleep! Loved meeting this new little family! 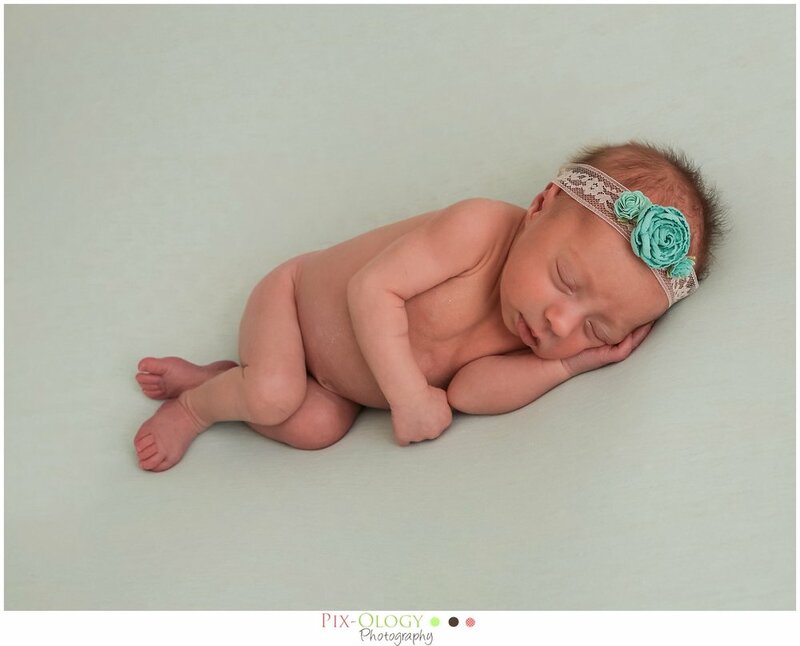 Baby Haidyn was a dream to photograph, loved those little cheeks! 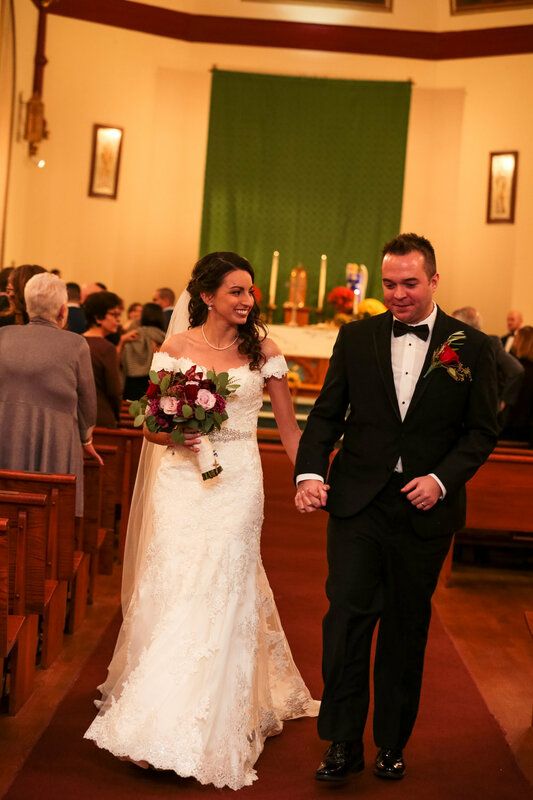 This snowy Winter wedding was an intimate celebration of two amazing people. The snow covered grounds at The Settlers Inn was the perfect backdrop for their portraits. Jorge & Candy have been together longer than many married couples. They are best friends, and absolutely amazing together. Documenting their wedding day was an absolute honor. Their wedding day was filled with personal details, from their custom cake made by one of their best friends to including their little girl in their vows, it was the perfect day. The staff at Willow Tree Grove made sure that the day went off without a hitch. Wishing them a lifetime of happiness! John & Sam are celebrating their first anniversary today. What a beautiful day it was! 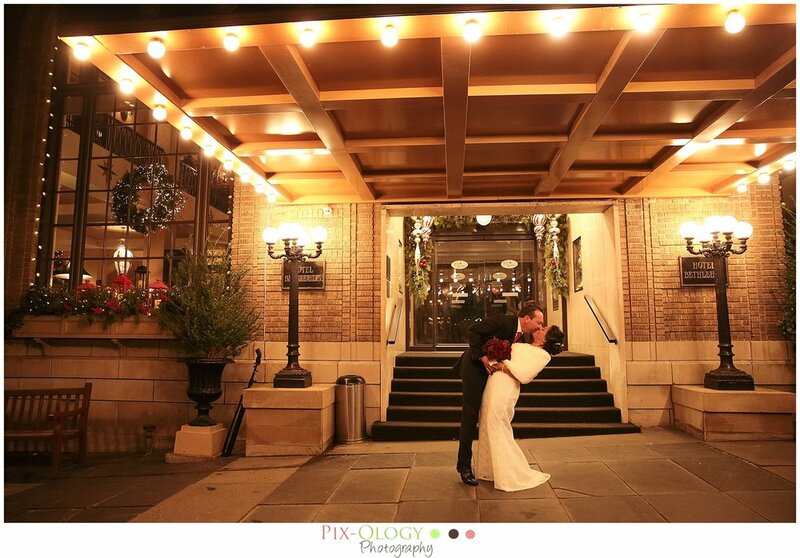 Their wedding held at the Hanover Grande Ballroom in Bethlehem, PA had all the elements of a perfect Winter wedding! Congratulations you two, it was such a joy to be a part of your day! With the upcoming winter season, temperatures are going to drop here in the Lehigh Valley. We always want to make sure our little ones are comfortable and they are at a safe temperature - whether hot or cold. As new moms/dads, we want to keep baby warm, but we have to be careful that baby is comfortable. I love working with so many wonderful parents and get the opportunity to discuss this exact subject. Purchase some warm, cozy fitted flannel sheets for the crib. This will be super helpful so you won’t have to layer the little one with clothing - the sheets will be nice and warm already. Layering your baby can make them get too hot even though it is cold, which will cause them to wake up during the night. A huge plus is the footed onesie pajamas for babies. They are not only warm but super easy to dress. A sleep sack is good for babies under 10 months old. This will keep them warm and is an alternative to swaddling. If you are swaddling your little one - during the colder months you can just put them in a onesie underneath or just socks, to keep them warm and comfortable. To see if your baby is too warm - do a skin check. Place your hand on the nape of their neck - you should feel a coolness. Shouldn’t feel cold and shouldn’t feel moisture or sweat. It is best to remove any extra layers at night for the baby so they do not overheat. If they feel too cold - add another lightweight layer. These tips aren’t just great for when baby is sleeping, but when you may think about venturing out with your newborn. 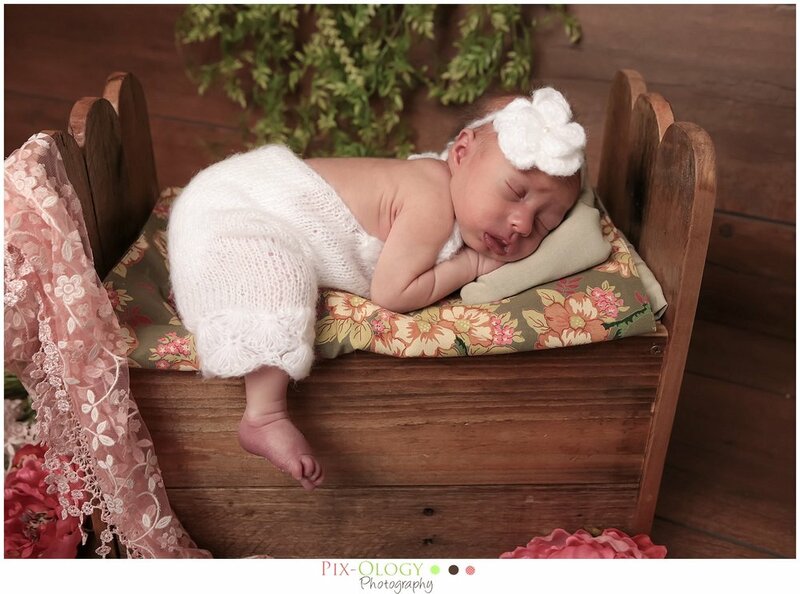 We always want you and baby to be comfortable when coming to the studio for your photo shoot, a good comfortable nights sleep is key to have them prepared for the big day!